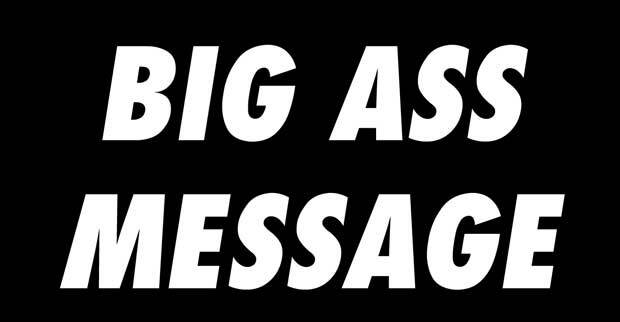 Diary of a MAD*FAT*WOMAN takes to the stage…. IT IS FINALLY HERE! A SHOW!!!!!!! 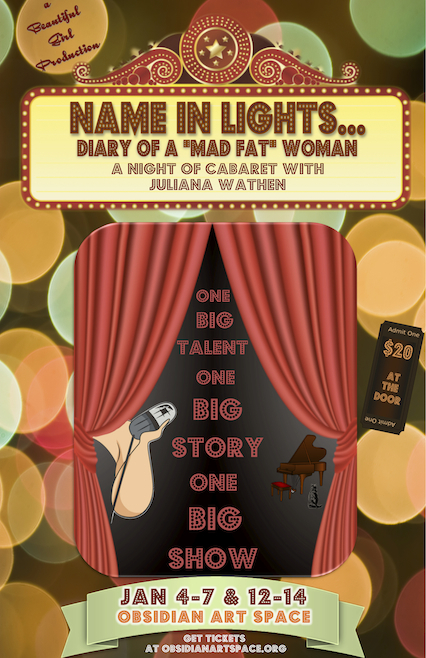 NAME IN LIGHTS…..Diary of a MAD* FAT * WOMAN. Diary of a MAD * FAT * WOMAN…..a journal of personal insight, crazy rants, battle of the bulge and mid life crisis enhanced by some of the best music of the past 5 decades. 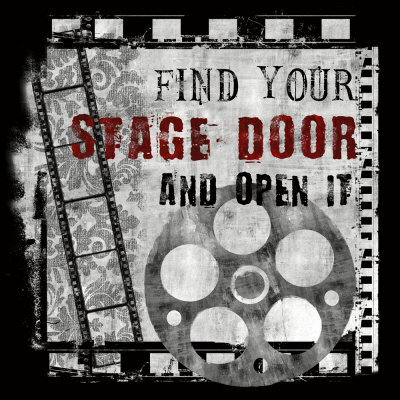 Opening January 4th, 2012 at 7:30 and running Thursday, January 5th – Saturday the 7th and Thursday, January 12- Saturday the 14th. Tickets are $20.00 per person $15.00 for students and seniors. Unwrap it but save the bow…..
It’s Christmas Day and that means the end of the year is creeping closer and closer and 2011 will be coming to an end. I set out 12 months ago to “HAVE THE BEST YEAR EVER” and despite the ups and downs of day to day life and the passing of family and friends, I have to say that it was indeed the best year ever. You can’t measure life lessons with a stick or a scale but by the fact that you made it to the other side and can look over your shoulder and see that there is a finish line behind you. Make no mistake. The game of life is not over – you just “leveled up”. 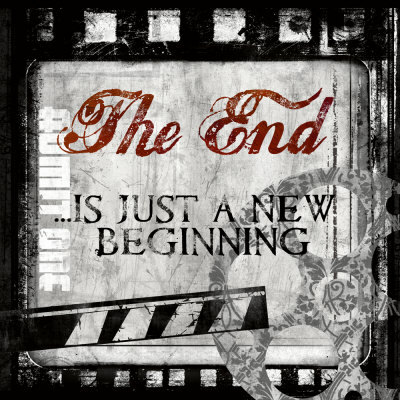 THE END is just a New Beginning. Look forward to the life lessons that will come your way in 2012. Live in the moment and enjoy the ride. Your life is just that, YOURS. Create it to the best of your ability knowing that you are limitless in your divine power to create and adjust according to your needs. Life is a gift. Stop shaking the box and unwrap it today.